The 'disappearance' of Mesut Ozil in our last two games has earned him a lot of criticism from fans who feel he got no passion for the game. The German international was heavily insulted especially after his body language in Arsenal's 2-1 loss at the Etihad Stadium on Sunday afternoon. While a faction of supporters felt it is normal for star players to under-perform in some games, others didn't see it that way and this led to a release of venomous attacks aimed at the assist king. 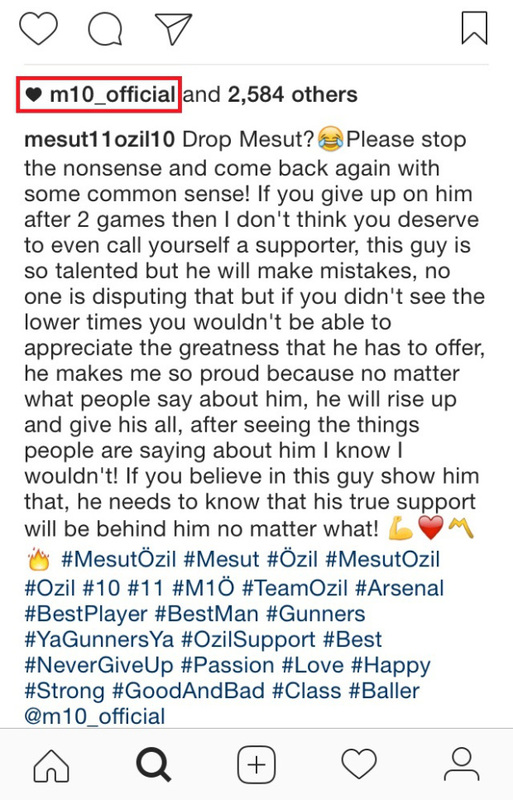 Mesut Ozil read through a number of the fans' reactions and there was a particular one which caught his attention. The poster of that update is someone who still has a lot of faith in the World Cup winner. 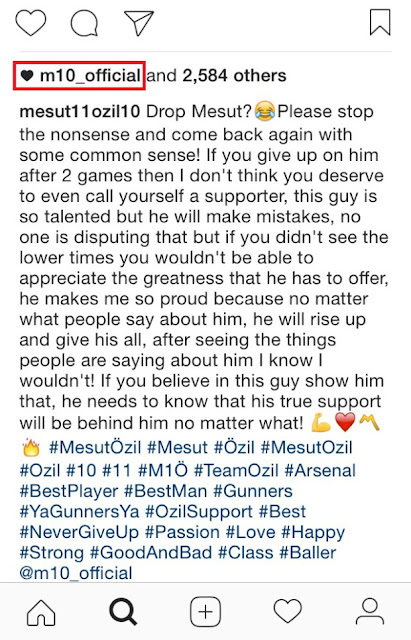 Ozil liked the Instagram update above, so we can say that the poster has spoken his mind after all. It was an indirect way of hitting out at his critics since he wasn't the author of the write-up.